Sydney’s been battered by a big storm that seems to have lasted most of the weekend. 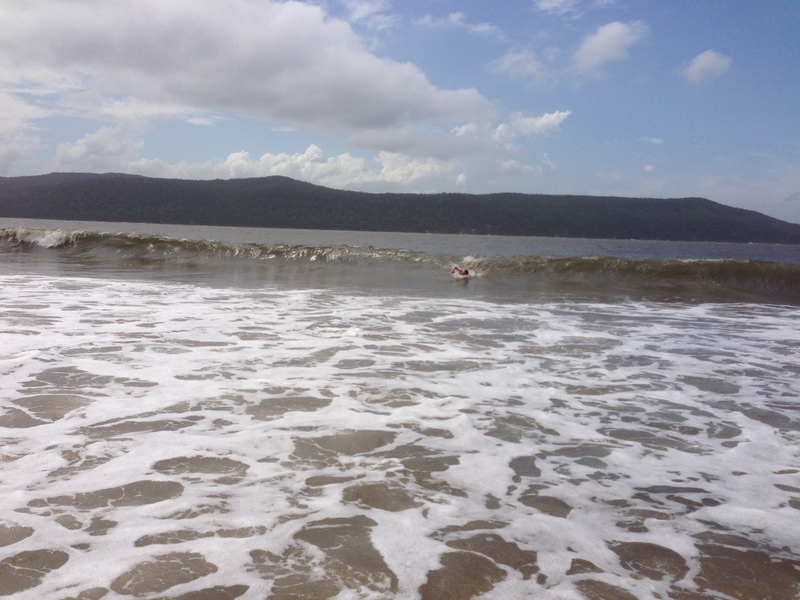 Most of Sydney’s beaches have resembled washing machines and no-one was out. I did, however, discover one beach where there was actually a wave that could be caught. 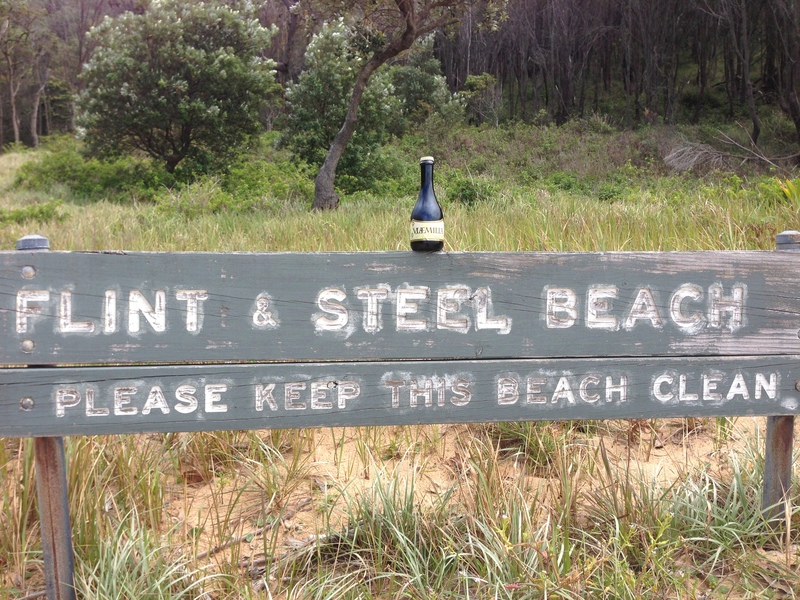 Flint and Steel Beach is a little piece of paradise in the Ku-Ring-Gai Chase National Park. It is a little over a kilometre off the West Head Road and faces North, North East. The walk down is very steep in parts and goes through a variety of trees, including some wonderful palms. The last view before the last steep descent is pretty amazing. 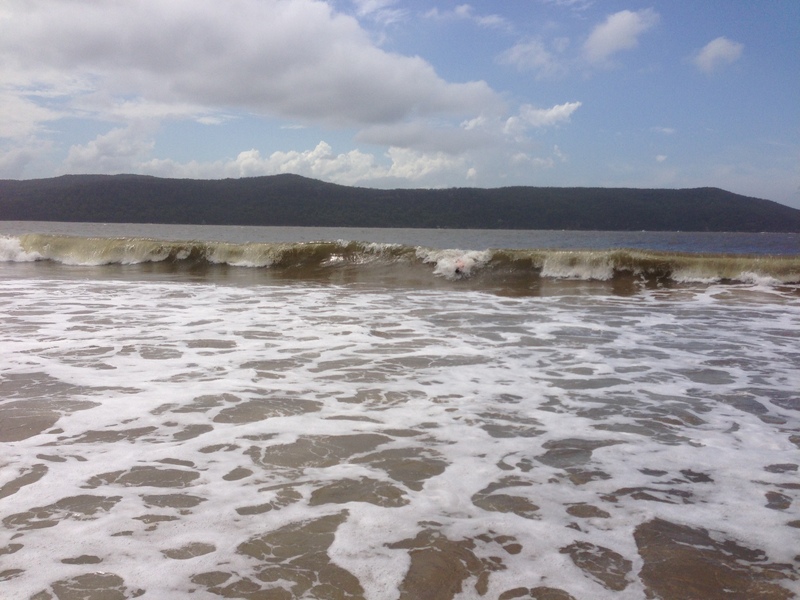 Given the way the beach faces and the relatively narrow gap between Lion Island and Barrenjoey Head for swell to get through, I can’t imagine that Flint and Steel Beach gets much in the way of surf, but this afternoon there was a terrific little wave coming in that made for a great little bodywomp. It’s wonderful swimming at a beach where there are hardly any other souls. The challenging walk and the isolation of West Head means I reckon that that would probably mean that would be the case pretty much anytime, if you make the effort. Just a beautiful little place. I took an unusual little beer with me. VIÆMILIA comes from a Parma, Italy brewer called Birrificio del Ducato, which looks delightful on its website. Italy’s definitely picked up on the craft beer boom and these guys are apparently Italy’s most awarded brewery. Not bad for a place that started in 2007. Their website boasts 22 beers and they are continuing to pump out some new stuff. As is with other Italian beers that have graced this blog, the packaging is quite stylish. The VIÆMILIA was the first Birrificio del Ducato offering. It is a sharpish lager, with plenty of bite at the end. It was quite muggy on the beach and the VIÆMILIA was a perfectly good thirst quencher. 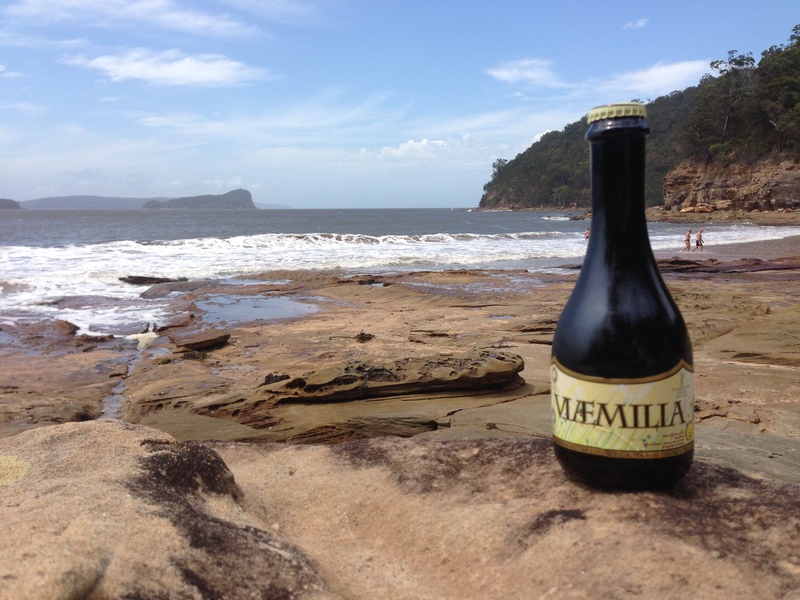 Not sure how a beer from Parma ends up on a beach in the Ku-Ring-Gai Chase National Park, but globalisation will do that.